As Apple fights its legal battle with the FBI over user privacy, other tech companies are dealing with similar conflicts with the authorities all over the world. 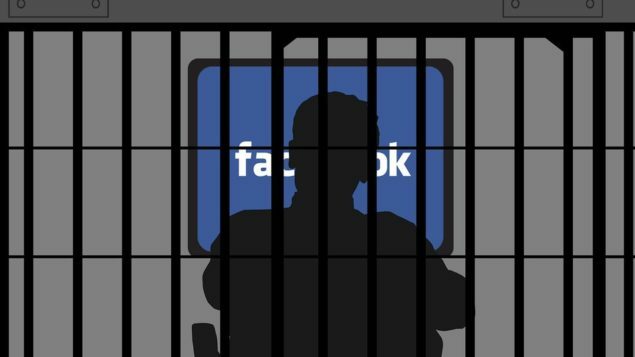 Earlier today, the police in Brazil arrested Facebook’s most senior executive in Latin America over the company’s refusal to provide user information. Facebook’s executive Deigo Dzodan was arrested by the Brazilian police Tuesday morning because of Facebook’s “repeated non-compliance with court orders,” states a police press release. Dzodan, who is Facebook’s Vice President for Latin America, was arrested on an order from Judge Marcel Montalvao in the northeastern state of Sergipe on his way to work. Reports claim that Dzodan is accused of ignoring a judicial order in an investigation involving drug trafficking. Brazilian authorities requested that WhatsApp, a private messaging service acquired by Facebook in 2014, hands over user messages in multiple criminal investigations over the past few months. WhatsApp has insisted that it cannot hand over the requested data because it doesn’t have them. WhatsApp messages are encrypted, which means they aren’t stored on Facebook or WhatsApp servers, but only exist on users’ phones. In a written statement released today, Facebook said that the two companies operate independently and that the “decision to arrest an employee from another company is an extreme and unwarranted step.” WhatsApp has responded in its own statement that it had cooperated with the Brazilian government “as much as” it could, “given the architecture” of the messaging service it offers to its users. This isn’t a first for Facebook or WhatsApp to face adversities in Brazil as a separate judicial order forced the country’s telecommunications companies to block WhatsApp in December last year. December’s order was also made because of WhatsApp’s refusal to cooperate with a police inquiry. Apple presented its case on encryption during a congressional hearing today, emphasizing how weakening the security is not the answer to solving criminal investigations. Dzodan’s arrest only confirms why it would be impossible for the companies like Apple or Facebook to only follow orders from the U.S. government and ignore similar requests from other governments while serving a global audience. Brazil is one of Facebook’s top markets, making the pressure even more significant. Earlier in February, Facebook and WhatsApp voiced their support for Apple in its battle over user privacy with the U.S. government. But the United States is not the only battleground for these tech companies as whatever they agree to do for the U.S. law enforcement agencies, they will be demanded to do the same for other governments globally.